Although it’s famous for Ikea displays that are larger than your apartment, there’s more to Toronto’s Interior Design Show than corporate homewares. For one weekend every year, the design fair also puts a spotlight on local artisans in their Prototype and Studio North exhibits. The pop-up booths are curated gallery-like spots that radiate creativity and hard work. We saw some of our old favourites, like the MSDS lighting display (check out our studio visit with them here) and discovered new companies that we’re keeping our eyes on. Coolican & Company is the perfect example of modern craftsmanship and design. 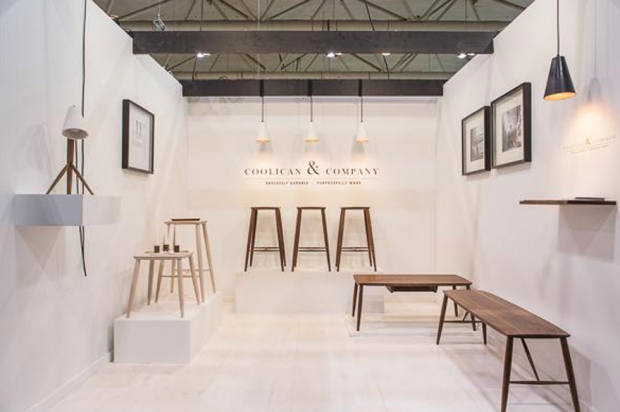 Peter Coolican’s small-batch furniture is part of the Interior Design Show’s new Maker project. 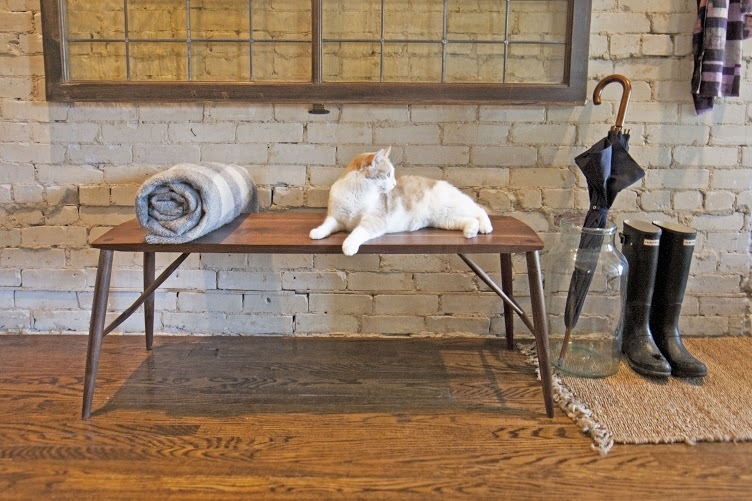 The participating companies (Heidi Earnshaw Design, Miles & May Furniture, 1925Workbench and Coolican & Co) represent a collection-based construction process that’s available in limited distribution. This means, once the pieces are gone, that’s it. Small-batch collections allow makers to maximize their resources while providing a unique product for buyers. For Coolican, it’s a step away from the bespoke furniture. “I’ve done bespoke work in the past,” he said. “Those projects are fun and technical. It’s process-oriented in a way that’s geared towards the customer. By creating small-batch work, I have more leeway to build things that I want to live with.” By working in collections, he extends his process from conceptional design to skilled production. If you missed the Coolican & Company exhibit at IDS, check out his website to see the current batch available. You can pre-order other pieces from his collection including pendant lights in gypsum and black walnut coffee tables. Visit Coolican & Company’s website here.